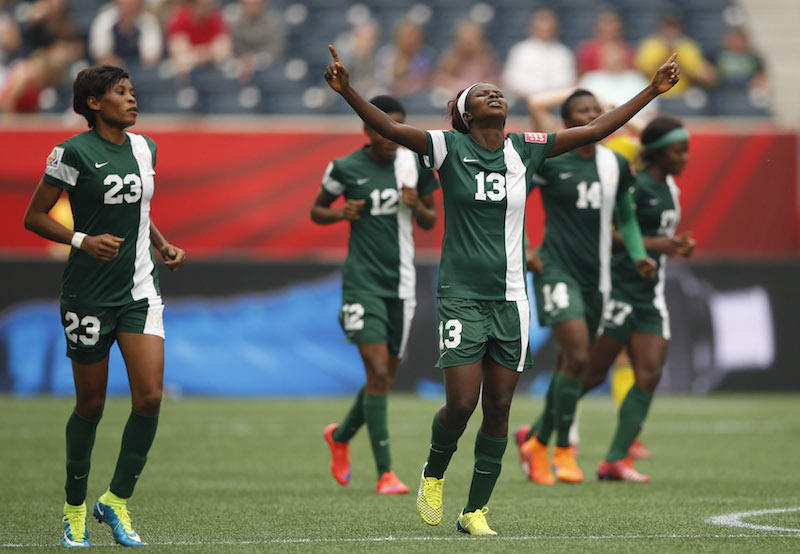 The victorious Super Falcons yesterday revealed that they have seized the trophy they won at the just concluded CAF African Women Cup of Nations in Cameroon until the authorities concerned offset the whopping N238.05 accumulated bonuses which they are being owed. Some of the players who spoke to Daily Sunsports in confidence claimed that the debt the Nigeria Football Federation (NFF) owed each of the 23 players excluding the officials in allowances and match bonuses since the team started camping for the tournament amounted to $25,000 (about N11.25 million). Although NFF has pledged to pay the players, the players however insisted that they will not only remain in their hotel camp in Abuja until NFF and the federal government met their demands, they will not also release the trophy until they received alert of the payment, stressing that they can no longer be deceived by the rhetoric by the federation to get back to them. When DailySunsport visited the camp, some of the players were seen hanging out and chilling with bottles of wine while some were either in their hotel rooms or gone to hospital to treat their wounds. According one of them; “I don’t want to talk because even you the journalists know the situation on ground more than us. All I can tell you is that we are not leaving this hotel until we get alert. We are not also releasing the trophy until our demands are met.